For many colleges and universities, the student ID is central to making purchases on and off campus. But what happens when a new payment method enters the fray? The digital currency known as Bitcoin has been making headlines for several years now, and it has started making its way to campus. While a host of universities around the globe have been experimenting with Bitcoin, the Georgia Institute of Technology is the first to tie the new tender to the campus card. Bitcoin is an Internet-based currency and medium of exchange that enables instantaneous transactions and borderless transfer of ownership. It was developed in 2008 and launched in 2009. It isn’t an official tender but rather a community-run currency system not controlled by a central bank or government. This means, for example, that Bitcoin can be transferred from person to person without first going through a financial institution or clearinghouse like standard currency. This can lead to lower fees and flexibility, but it also creates concerns among governments, as there are no prerequisites or subjective limits to its use. Think of it this way, email lets you send letters for free anywhere in the world. Skype lets you make phone calls for free anywhere in the world. In a similar fashion, Bitcoin lets you send money to anyone, anywhere in the world for free – or for a much smaller than normal transaction fee. It also has to be said that Bitcoin remains an experimental new currency that is still in active development. This means that its future is anything but certain, as it depends heavily on the adoption and participation of the general public. It also must dodge regulators that seek to squash it for fear it fosters the laundering of money, funding of illicit activity and avoiding of taxes. Georgia Tech’s campus card system, the BuzzCard, was the central player in a pilot that utilized Bitcoin to deposit funds into students’ declining balance accounts. The BuzzCard Center housed a Bitcoin-enabled merchant terminal to facilitate the process. Alternately, students could download the “Jacket Wallet” app to make deposits. Jacket Wallet is a dedicated Bitcoin mobile wallet designed exclusively for Georgia Tech students and alumni by Bitcoin wallet provider Pheeva. Jacket Wallet can be used for instantaneous transfer of Bitcoin anywhere in the world at no cost. As part of the pilot, the university also tested Bitcoin for purchases at stadium concession stands. Georgia Tech alumni Tony Gallippi and Stephen Pair founded a company called BitPay. They partnered with the Georgia Tech Athletic Association (GTAA) to increase awareness of Bitcoin with their target demographic of tech-savvy college students, says James Pete, senior director of Campus Services-Information Technology Group at Georgia Tech. Founded in 2011, BitPay specializes in Bitcoin payment processing and works to enable clients to accept the payments. BitPay entered the fray in the technology’s early days and claims to be the largest Bitcoin payment processor in the world, with 60,000 merchants on six continents. 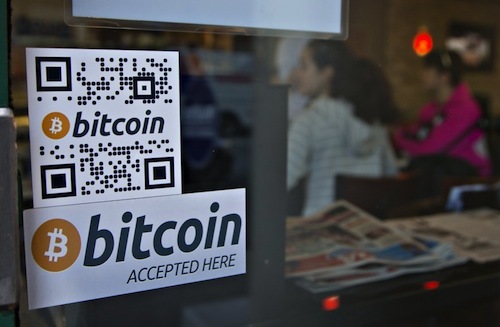 The bookstore at Simon Fraser University’s network of campuses is set to accept Bitcoin payments. The bookstore initiative marks the latest foray into Bitcoin for Simon Fraser, who became the first Canadian university to accept Bitcoin donations in August 2014. According to The Georgia Straight, university-run bookstores at Simon Fraser’s Burnaby, Vancouver and Surrey campuses will accept Bitcoin payments for textbooks and other store items. Automated Bitcoin vending machines, called AVMs or Bitcoin ATMs, have been installed at the three locations. Ontario-based BitSent is the company providing the Bitcoin ATMs, which allow students to purchase Bitcoins, or fractions of Bitcoins, with cash. Users don’t need to set up an account or share personal banking information to make the exchange. They simply insert the amount of cash they wish to convert to Bitcoin into the machine and it is credited to their Bitocin wallet. BitPay reached out to Georgia Tech Administration to engage in conversations regarding the acceptance of Bitcoin as a form of payment for on-campus transactions, says Pete. “Through those conversations, the BuzzCard Program decided to push-forward with a pilot to measure user interest and behavior,” he adds. The campus card program pilot includes the ability for students, faculty and staff to utilize Bitcoin as a payment type for declining balance deposits, explains Pete. He explains that BitPay’s partnership with Georgia Tech is two fold. First was the concession payment service that covered the 2014-15 football and basketball seasons. Second was the acceptance of Bitcoins to fund the campus card account that enables purchases from food to parking to laundry. There were two primary reasons behind the Bitcoin pilot at Georgia Tech, and the first was in the institution’s name.